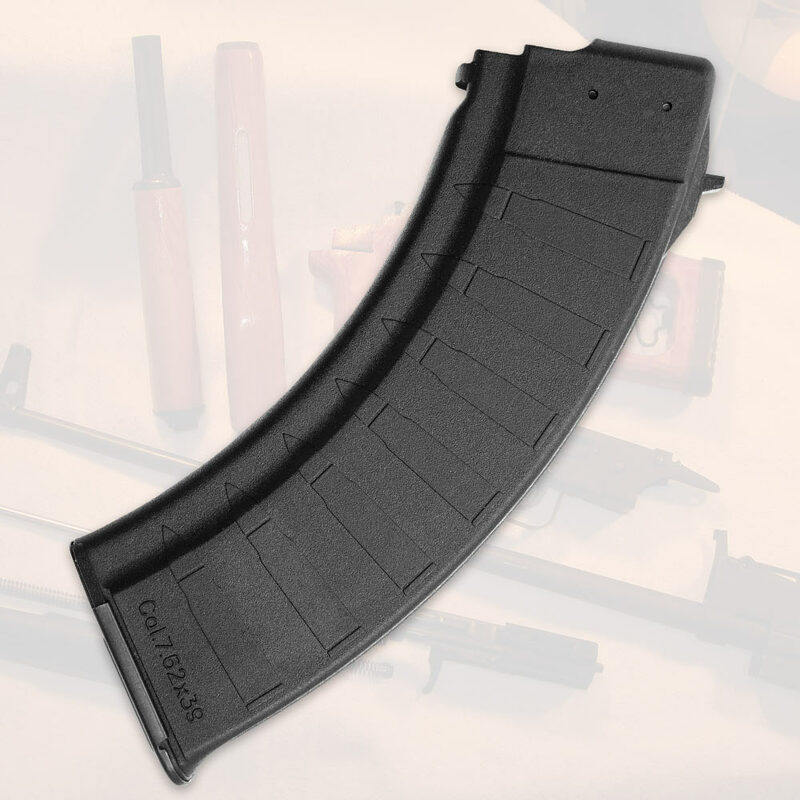 AMG AK 30 Round Polymer Magazine | BUDK.com - Knives & Swords At The Lowest Prices! AMG’s AK-47 30 Round Magazine is made from a high grade plastic with reinforced metal lips. This quality polymer magazine will not dent or scratch and is non-corrosive.